Barbecue Sauce Homemade Thai Recipe! 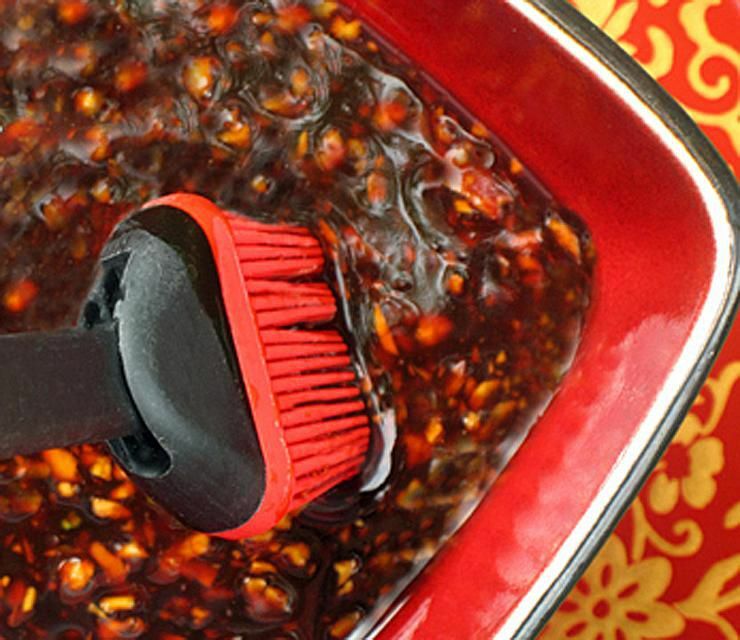 Next time you want to grill up some dinner, instead of purchasing a store-bought barbecue sauce, try this superior homemade Thai barbecue sauce. Homemade BBQ sauce is easy to put together, and it's far less expensive than the store-bought variety. Plus, it tastes better and is much healthier for you! My easy Thai barbecue sauce can be whipped up in just minutes. Thai Thai version features the 'big four flavors' of Thai cuisine: sweet, sour, spicy, and salty. It's delicious on steak, chicken, shrimp (large or jumbo), fish, pork, or even on grilled veggies or tofu. You'll love the combination, and if you enjoy spice, more fresh chili can be added. Then slather it on your favorite protein source. Makes excellent barbecue chicken, or chicken wings for the kids - sticky, chewy good! Place all ingredients in a bowl and stir well. OR, place all ingredients in a food processor. Process well to form a smooth sauce. Taste-test for a balance of sweet, sour, spicy and salty. If not flavorful or salty enough, add more fish sauce ;if too salty, add more fresh lime. Slather over the meat, chicken, or fish you plan to barbecue. Be sure to turn the pieces in the sauce so that all the flesh has been saturated with sauce. Allow to marinate at least 20 minutes (while you warm up the barbecue or grill), OR up to 24 hours in advance (simply cover the meat and place in the refrigerator overnight, until you're ready to cook). While grilling, baste the meat once on each side for increased flavor and tenderness, then discard remaining sauce. If desired, make extra sauce and keep it aside (separate from the meat) until you're ready to eat. Then quickly warm it up and serve as a dipping sauce, glaze, or just to spoon on top as you eat. ENJOY! Cooking Tip: Because this barbecue sauce is fairly sticky (that's what makes it so good! ), I find it helps to oil the grill before cooking. Simply dip your basting brush in a little cooking oil and brush over the grill before cooking. This also keeps the meat from sticking too much, making turning easier.